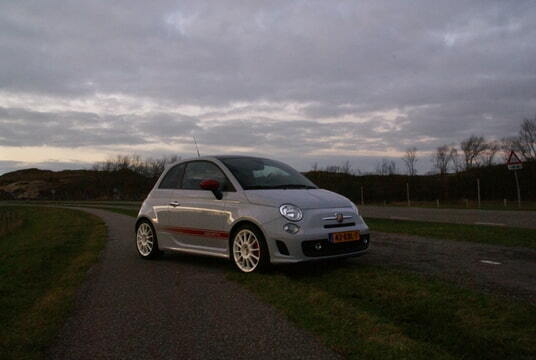 Koplampen voor fiat 500 en abarth met xenon en xenon lensprojector. Deze set past in elke 500 met normale koplampen zonder aanpassingen. TE koop 1 paar koplampen (links en rechts) voorzien van xenon in projector lenszen. gaan weg omdat ik aan een nieuw project ga beginnen, werken perfect ! wat ik mij nu af vraag (mijn engels is niet zo heel goed) boren ze nu de standaard turbo op? en is dat te combineren met gtech of kom je dan software matig in de knoei omdat wij de gtech modle niet kunnen aanpassen ? GTT have recently launched a whole range of performance conversions ,engine dressing products and other products for the funky A500 models. 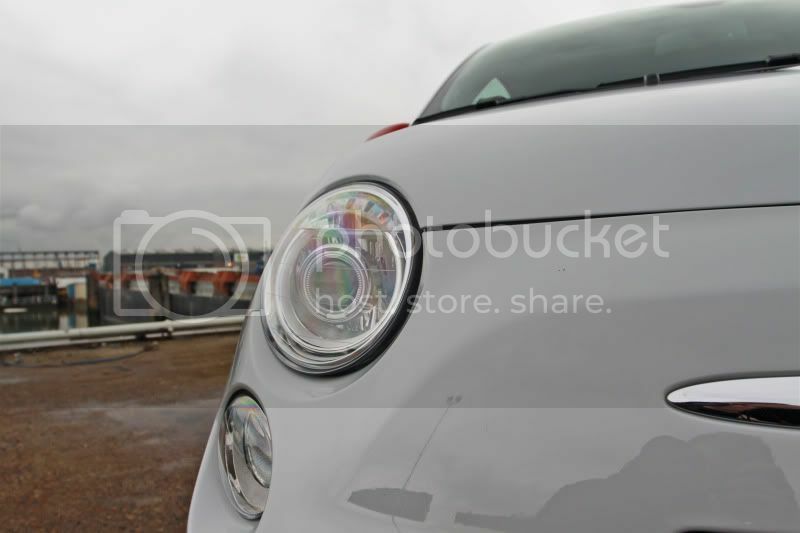 Most parts are applicable to both the hardtop and A500c soft top models . The conversions suit both the standard , and higher powered SS models. GTT170 This conversion consists of electronic  plug in module and GTT Cold Ram Induction kit complete with its distinctive red alloy engine cover and pop off filter. ...Approx power 170bhp or 175bhp for SS. £519+vat supply only or £579+vat fitted. GTT190 This conversion includes plug in electronic module with additional GTT circuitry, GTT Cold Ram Induction Kit , GTT large body uprated T3 turbo actuator, 2 stage throttle activated boost solenoid valve , 2 stage cockpit manual boost override switch ( deduct £29+vat if this is not required), GTT Anti surge valve for smooth throttle response , GTT hi-flow silicon big bore turbo induction hose in either red or black and GTT stainless steel boot badge. ...Approx power 190bhp. This conversion is only available fitted, and can be completed in one full day. Should you already have any of the items listed above already on your car ( eg the GTT Cold Ram kit, TMC, or GTT Silicon hose) .Please telephone for price as we can deduct these item costs accordingly. GTT220 This conversion utilizes most of the parts from the GTT190 plus a complete replacement larger turbo ( not the stock turbo bored out to accept larger compressor wheel). The Garrett GT range turbo is rated to 260bhp. Kit also includes free flowing replacement cat/downpipe or optional decat pipe. 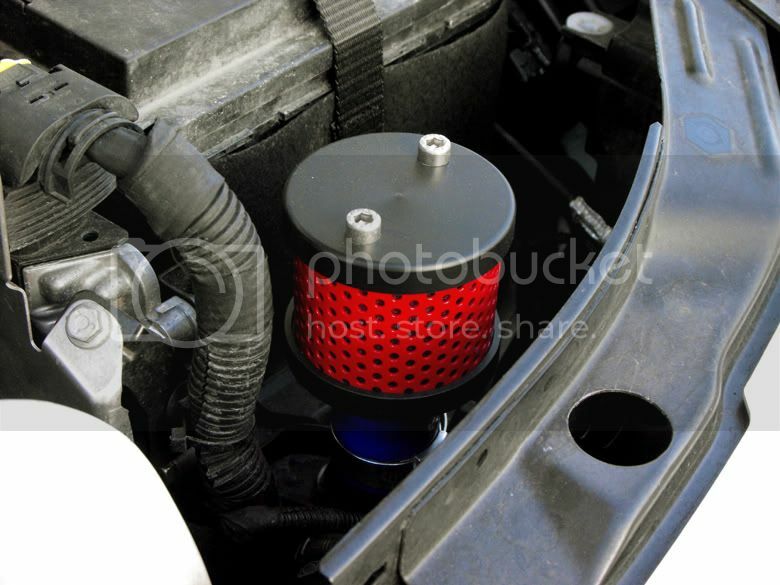 This will mate to either the stock exhaust or for optimum flow, to other brand cat backs such as Miltek etc.Also includes GTT turbo heatshield. ..Approx power 220bhp This conversion is only available fitted, and we will require the car for upto 1 week. Where possible we try to offer cost effective power upgrade paths , therefore many parts from GTT190 can be accommodated with the GTT 220 conversion. Price for PowerMist system only £795+vat or £1195+vat fitted. This product alone can add upto 15bhp , with typical gains of 8-10bhp combined with reported small improvements in fuel consumpsion to. This is the only kit on the market that comes complete with integral engine cover. By removing the standard airbox the engine bay without the GTT alloy engine cover looks decidedly bare! Also included is the GTT Grenade Pop off filter . This allows rapid expulsion of dumped air during gearchange. It is large enough not to cause restriction , and can be easily dismantled and cleaned. However the part of this kit most responsible for the power increase is the GTT Ram-Pipe mounted within the main filter. This is CNC machined from solid billet to achieve optimum true 360 degree rolled edge ....no other manufacturer does this. This allows optimum flow and minimum pressure drop at the turbo compressor inlet. 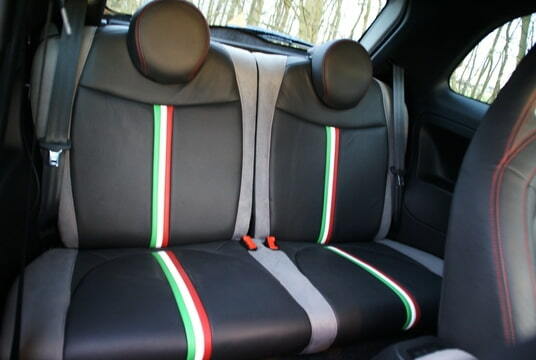 This identical design is used on GTT 350bhp Mini conversions. This kit adds some desirable ( for most) induction noise, however for a quieter approach we can offer a recirc closed loop version . If you want even more noise, just put a 30-50mm hole in the plastic divider panel between engine bay and scuttle area ...job done! Bigger bore, all restrictions removed direct replacement for the stock plastic item. Includes all inlet/outlet tails for simple fitment. 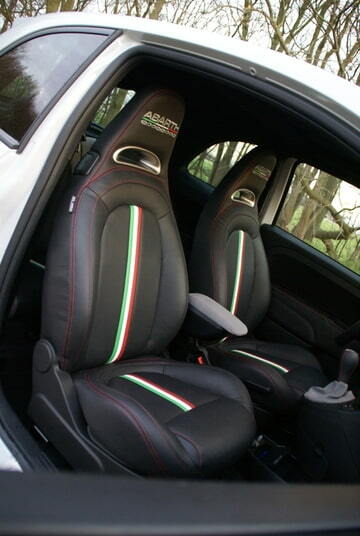 Available in Abarth Red or Black. As used in factory upgrade kit , this cotton guaze element can be fitted in a few minutes. Can be cleaned and reused many times. £45+vat or £49+vat fitted while you wait! Direct replacement for the stock item. Uses 200CPSI metallic substrate cat for optimum flow, reduced backpressure and increased power . Reduced backpressure at turbine outlet reduces turbo stress . Cat is fully UK MOT compliant, and the car requires no remapping or other changes to work correctly. Downpipe is all stainless steel construction and uses higher quality TIG welding for optimum strength.... Typical power increase ( dependant on accompanying mods) + 5 to +15bhp. Probably the best all round kit on the market, using the superior monotube design in preference to the cheaper and inferior twin tube type used by other manufacturers. Fully adjustable ride height front and rear. Lowered and slightly uprated progressive rate springs ( not too firm) Lowers front 25mm and rear 20 mm approx. Supply and fit + reset front geometry for a less darty drive.....£329+vat. Consists 4x 6mm alloy wheel spacers, 12 longer high tensile wheel bolt , 4 longer locking wheel bolt & key set. GTT TURBO BOOST /VACUUM GUAGE & DASH MOUTED POD. 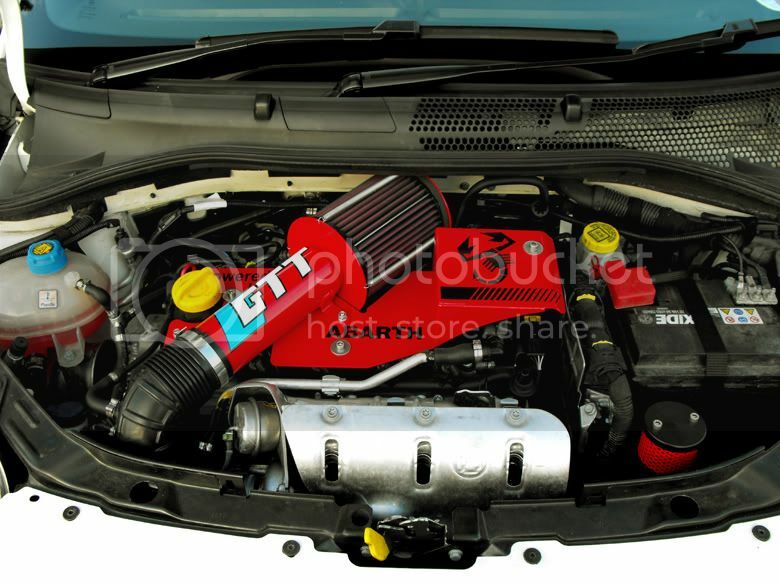 Suitable for all Abarth turbo models including Punto which do not have a standard guage. Also very useful for 500 models as it reads vacuum, gives correct reading when used with TMC module etc and looks great to. 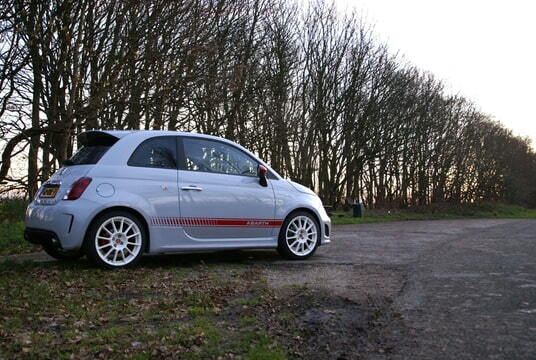 Pod available in Abarth Red, Black or silver. Dial face in black or white. Guage reads from -15psi to +30psi. Guage also has option for wiring in backlight. Proven GTT formula Spiroslot grooved discs offer superior braking to plain discs and avoiding the pitfalls or drilled discs which are prone to cracking when driven hard. Kits include 1pr of GTT handed fine grade pearlitic cast steel discs precision machined in house , set of fast road Kevlar brake pads which work well from cold , give quiet operation and relatively low dust. Also included 0.5 Litre DOT 5.1 high performance brake fluid. Kit is direct replacement standard dimensions. wat vinden jullie er van ? en wat denken jullie van de tunings opties ? wellicht iets om na te kijken in de php ? 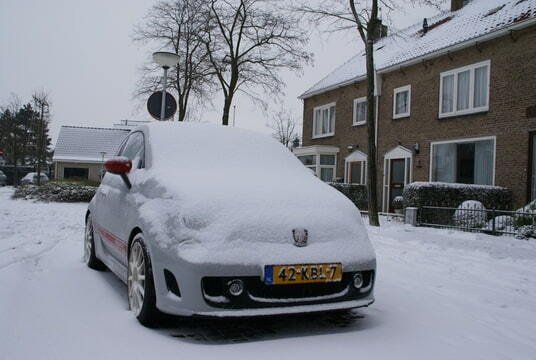 Exterieur / 4 velgen ss zonder banden 17"
ik zet mijn orginele abarth esse esse velgen te koop zonder banden! velgen zijn behandeld door protech en vertonen geen schade! en de rest vind je hier: klik hier dus !! ik vind hem zelf wel stoer, maar velen denk ik niet .... ? mijn motor management systeem van mijn 500 abarth gaat gelijk al in de verkoop.